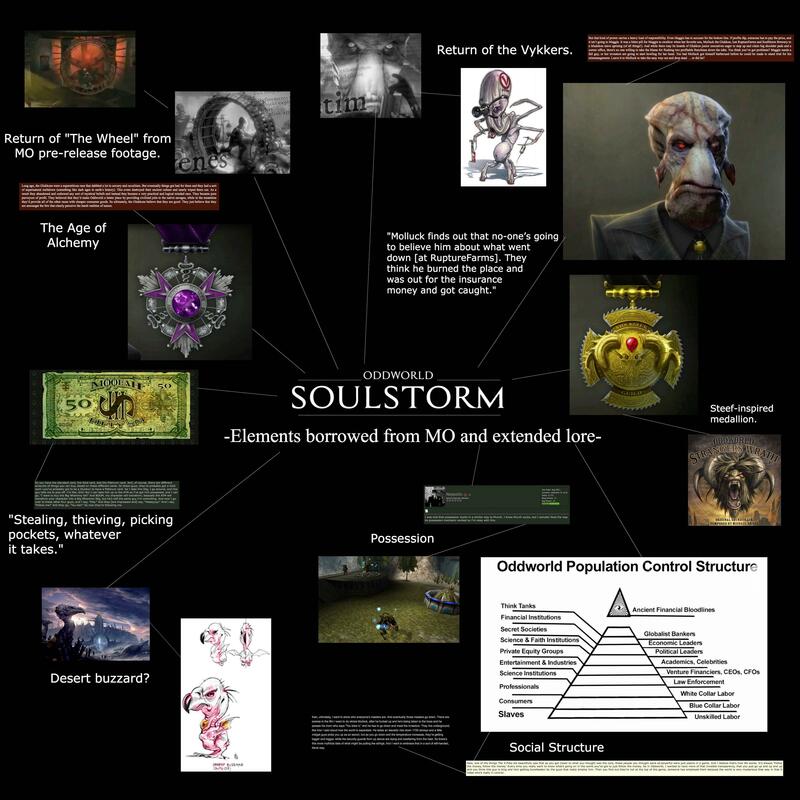 We at Magog on the March have been thinking about Soulstorm a lot over the past few days and have noticed a number of parallels and homages to pieces of lore that were dropped from finished games—notably Munch’s Oddysee—or tidbits offered in interviews by Lorne Lanning over the years. We decided to whip up a curt image depicting all of the elements that we’ve come across. And I always thought that Gluccons run the Oddworld. Go Figure. Very interesting pieces of information. Totally looking forward to some in-game footage. Maybe this time we get to witness the quintology as it was meant to be.